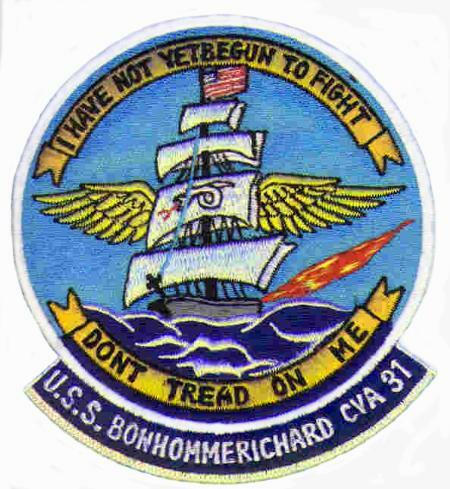 CV-31 was named Bon Homme Richard after a Continental Navy frigate whose name was actually spelled Bonhomme Richard. The name was a French translation of Benjamin Franklin's nom de plume, "Poor Richard." 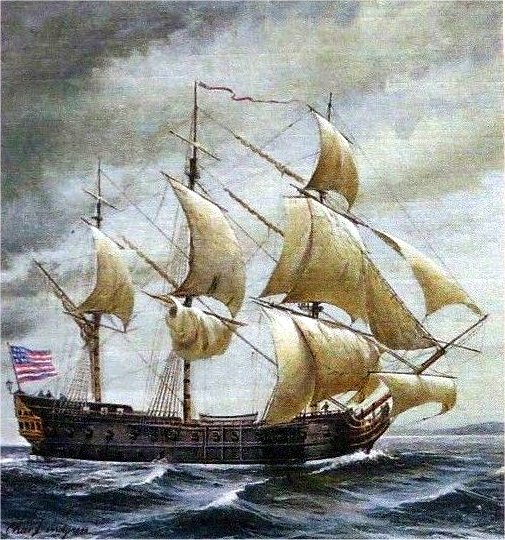 When John Paul Jones received the Duc de Duras from the King of France, Louis XVI, he renamed the former French East Indiaman Bonhomme Richard to honor Franklin, the American Commissioner at Paris whose famous almanacs had been published in France under the title Les Maximes du Bonhomme Richard. NS098629217: Drawing of Continental Navy's Bonhomme Richard underway. Courtesy of Tommy Trampp.